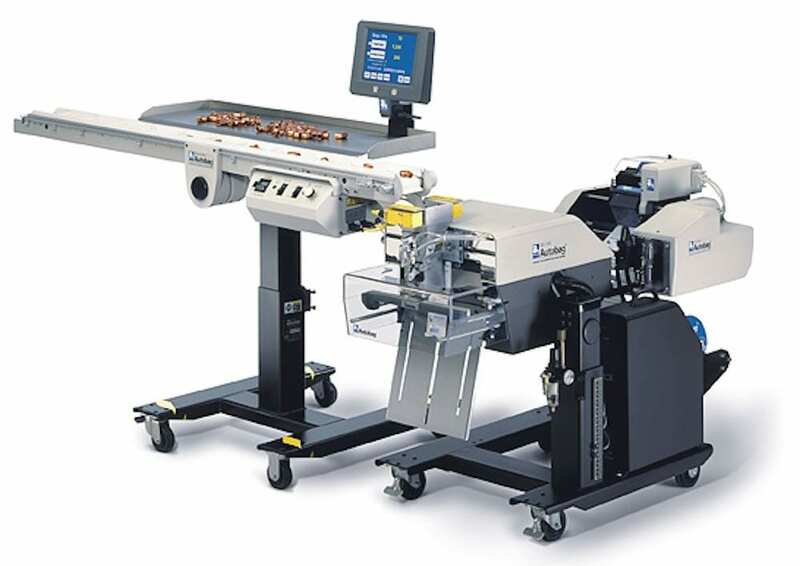 The Autobag® 550™ bagger is a technologically-advanced, automatic filling and sealing machine designed for reliability, flexibility and optimizing packaging throughput. 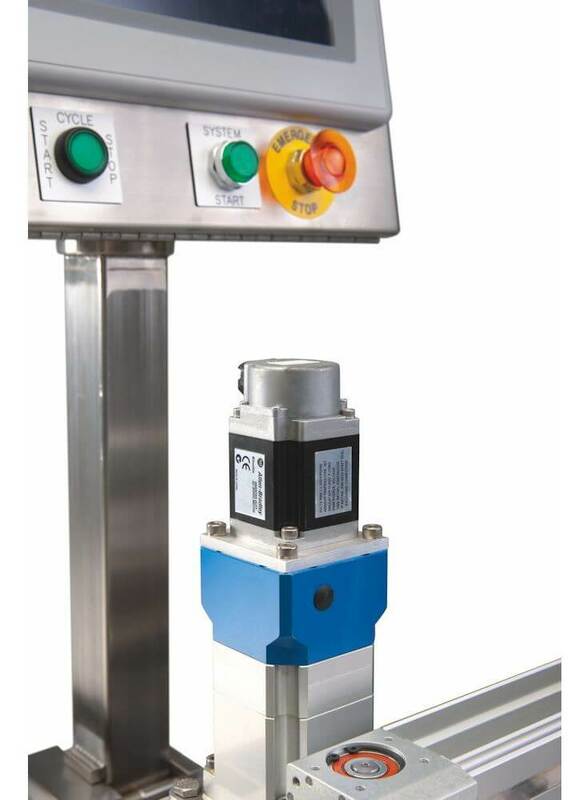 Capable of cycling at speeds up to 45 bags per minute, this system was designed to maximize machine uptime while lowering total cost of ownership. Next-bag-out printing is achieved with an advanced thermal transfer imprinter positioned directly over the next bag to be loaded. 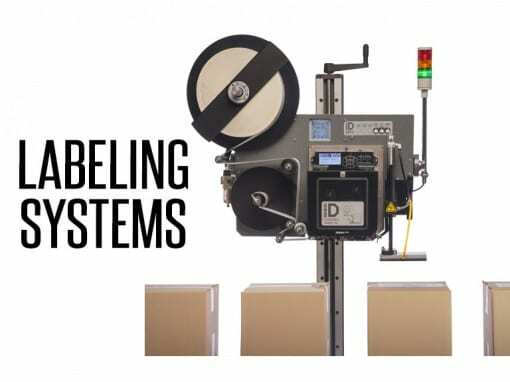 This ensures accuracy and efficiency in applications that require frequent product and label changeovers, prevents product queuing and eliminates a separate labeling operation. State-of-the-art engineering has led to an innovative, inherently safe design. No light curtains or double palm switches are required to achieve safe operation for hand load operations. This revolutionary new approach provides unobstructed access to the open bag, facilitating faster, more ergonomic loading. The system features a simple design with very few moving parts, reducing lifetime cost and improving uptime. Servo driven web controls along with job storage capabilities reduce the amount of bags in queue, eliminating waste and decreasing changeover time. Flexibility has been built into the system allowing the Autobag 550 to meet the needs of any loading area. 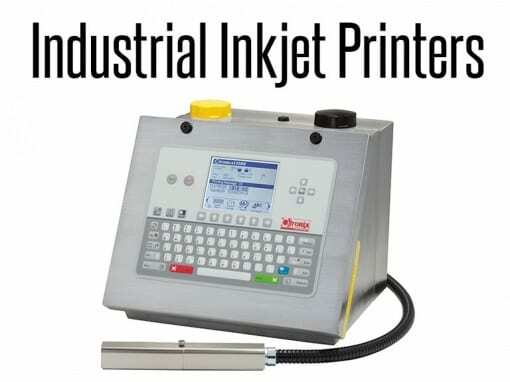 Capable of being configured for left or right-hand access to the HMI, cycle switch, roll loading, and ribbon loading provides seamless integration into any operation. The system can also be networked for full pack station integration to facilitate central monitoring; and the extraction of productivity information that can be manipulated for detailed analysis. 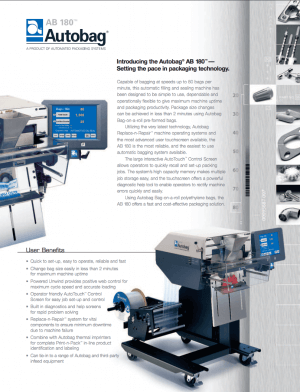 When used with genuine Autobag pre-opened bags-on-a-roll, the Autobag 550 ushers in the next evolution of high-quality, reliable and flexible bag packaging, backed by the industry’s most comprehensive engineering and field service network. Height: 37.1 to 47.1 in. Bag Sizes: W 2 to 12 in. L 5 to 20 in. 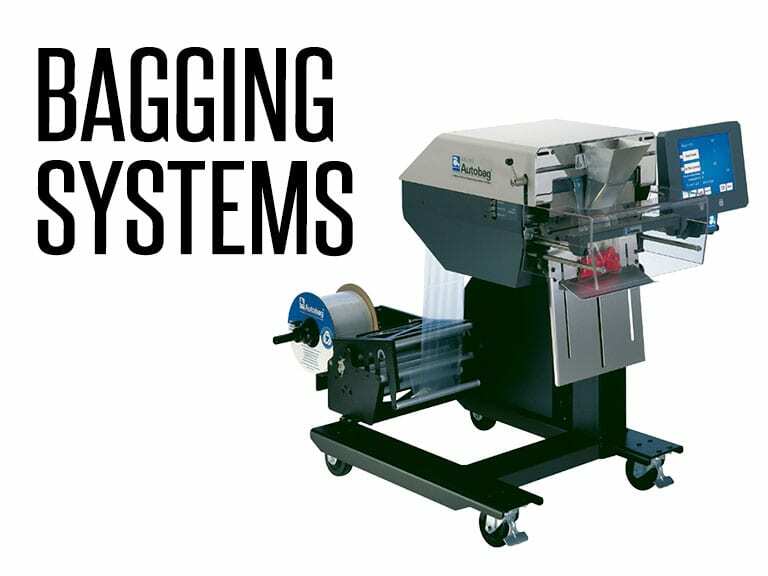 The Autobag PaceSetter PS 125 and PS 125 OneStep Tabletop Automatic Baggers efficiently bag and seal your products. 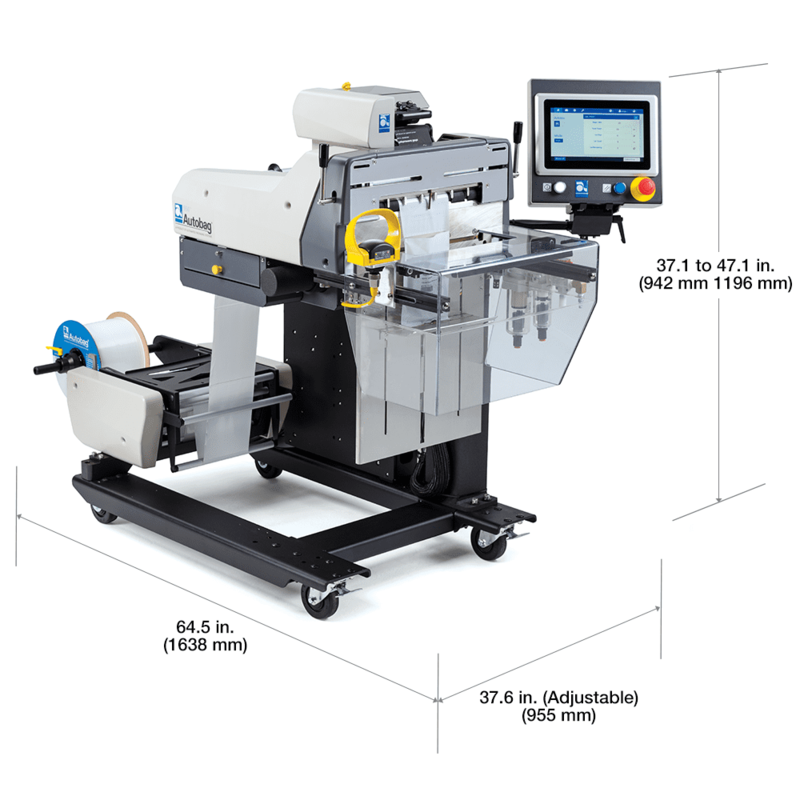 These hand load machines bring simplicity, versatility and value to your low- to mid-volume production environment. 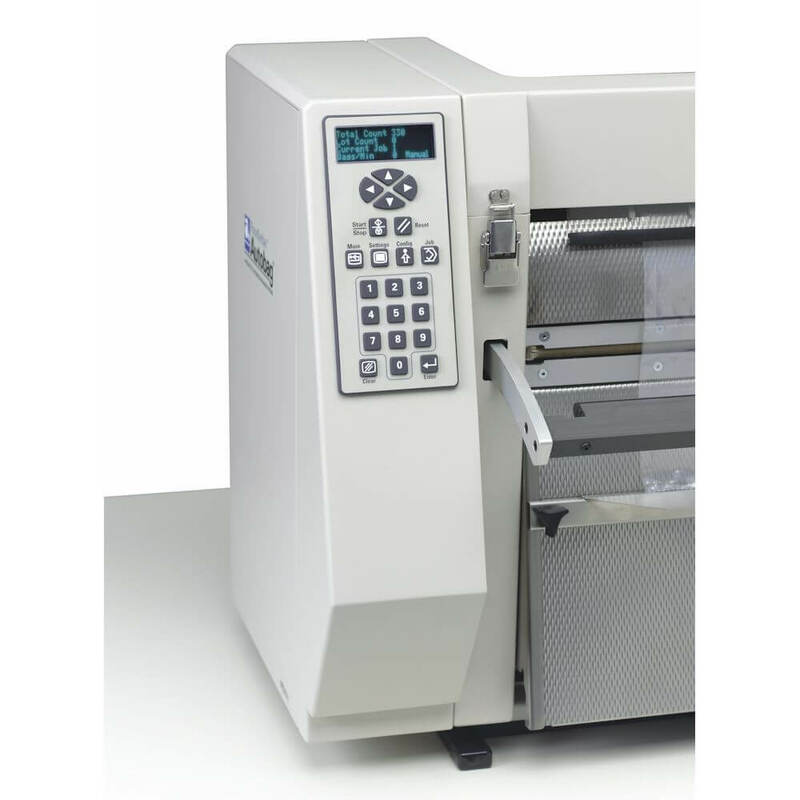 Operating at speeds up to 25 bags per minute (15 BPM OneStep version), these machines offer innovative engineering in a straightforward, tabletop design. The PS 125 features a small footprint of 22 x 19 inches and weighs just 82 pounds. The quiet, all-electric design does not require compressed air to run. 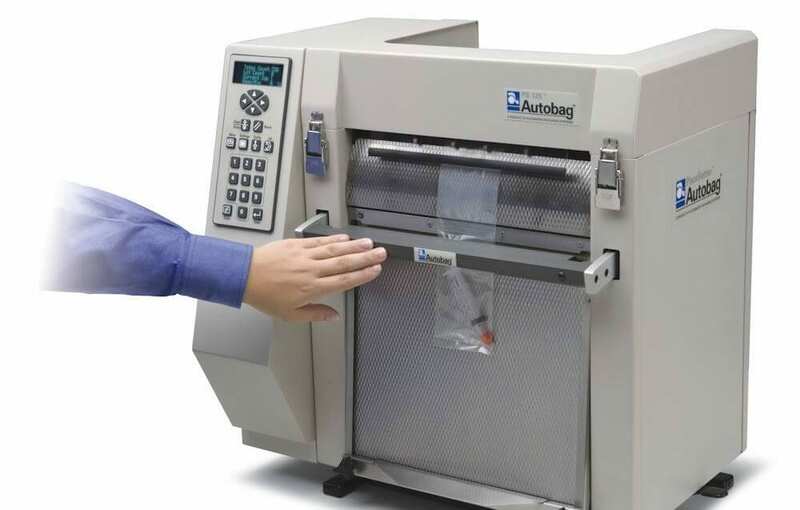 The Autobag PS 125 is simple to operate, with a user-friendly display that enables easy access to operating parameters, job set-up, job storage, and onboard system diagnostics. The unique, locking turntable links with the AutoThread™ feature to provide ergonomic handling and bag changeover. 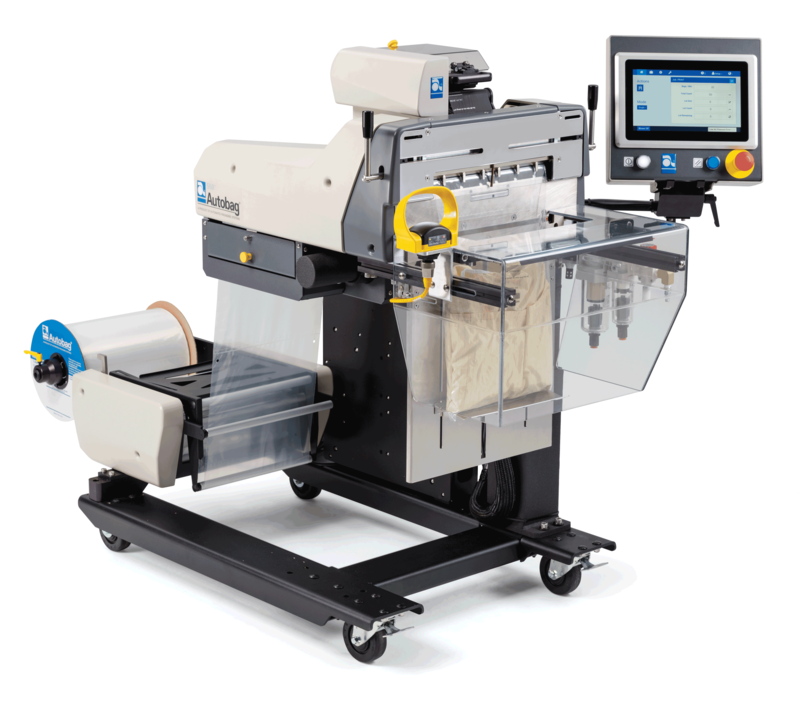 Poly bags are automatically indexed, loaded by hand, then sealed using the Push-to-Seal™ automated sealer function, a standard footswitch, or via automatic cycle control. The PaceSetter PS 125 OneStep includes the same conveniences of the standard PS 125 with the addition of a built-in PI 412™ imprinter. 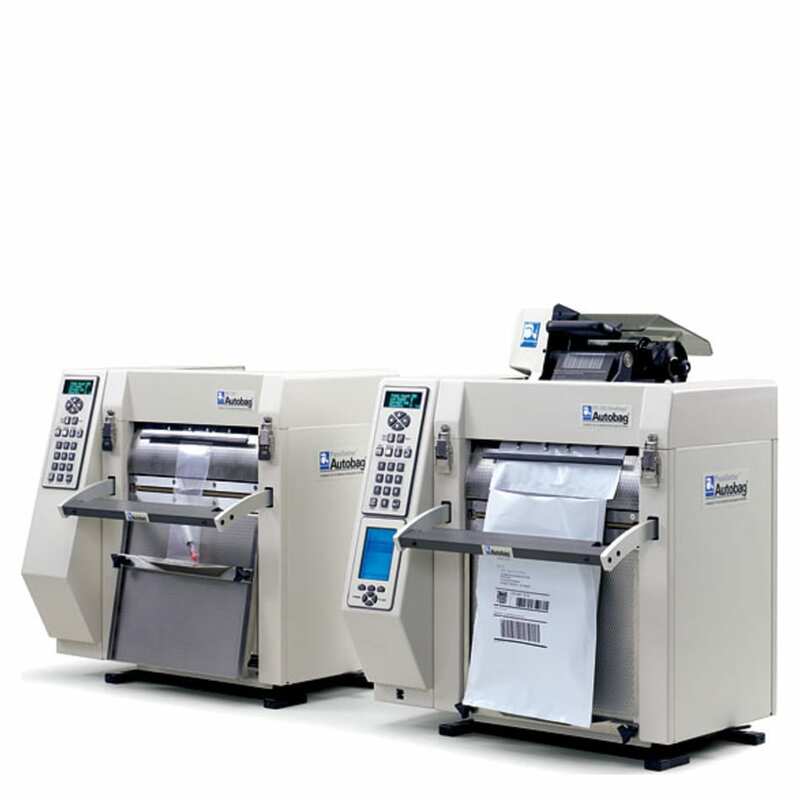 It features next-bag-out printing technology that is ideal for short run and order fulfillment applications such as pharmacy or catalog orders. High-resolution graphics, text and barcodes can be printed on the bag, eliminating the need for a separate labeling operation. 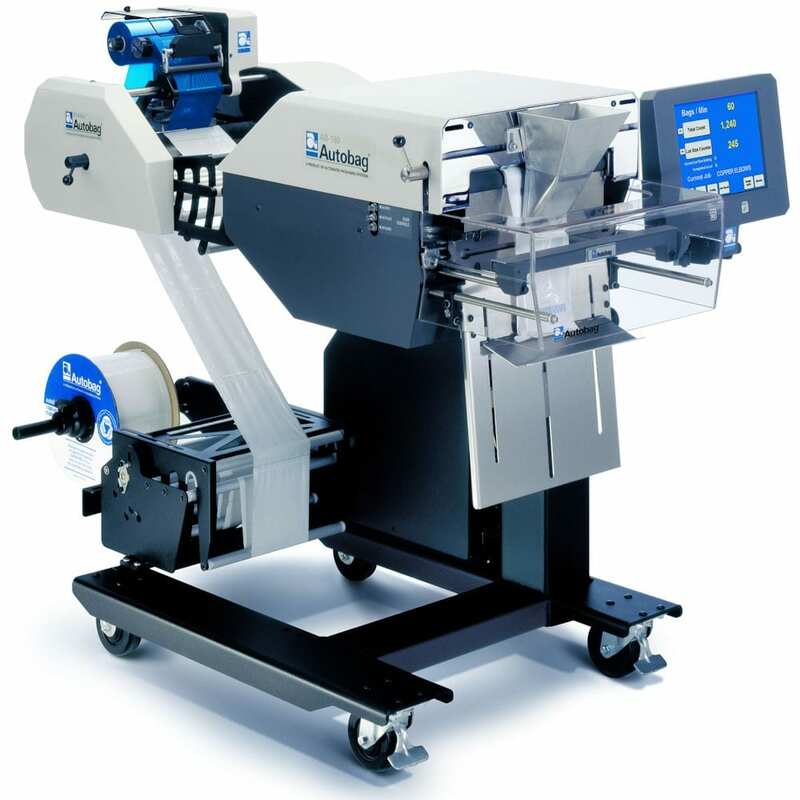 The printer features a tilt-back print head for easy maintenance, and the optional AutoLabel™ label design software simplifies label creation. 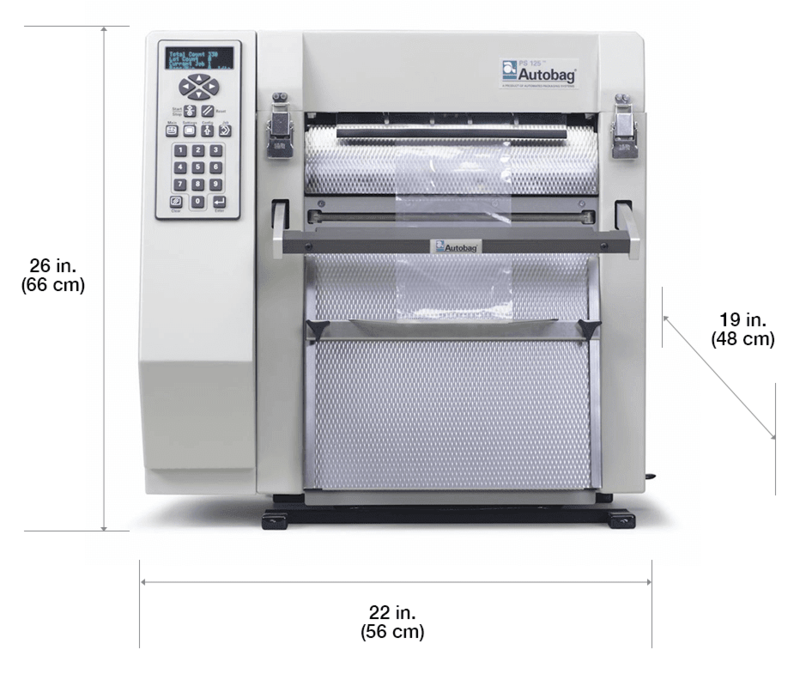 System-matched Autobag pre-opened bags-on-a-roll are conveniently available in sizes 10.5″ wide and 17″ long. Pairing these systems and poly bags offer an exceptional packaging solution for your hand load applications. Pass-Through: Up to 3.4 in. Bag Sizes: W 2 to 10.5 in. L 4 to 17 in. 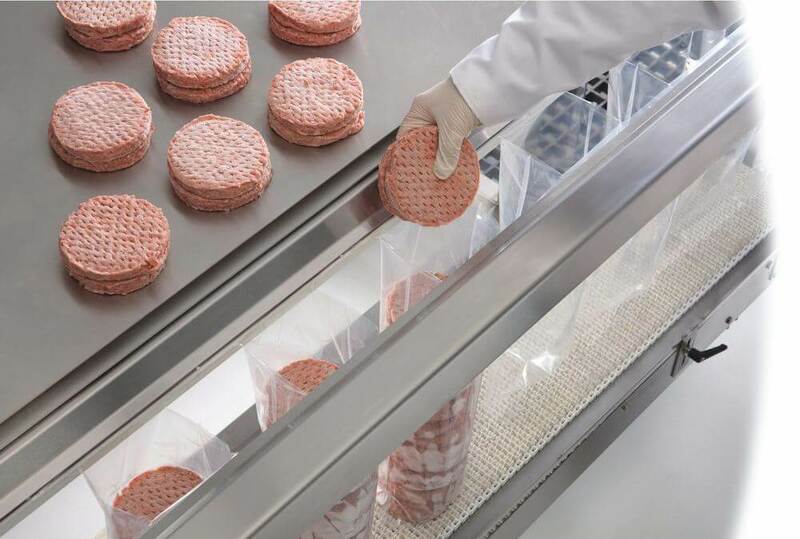 The FAS SPrint Revolution food packaging machine brings new levels of speed and versatility to demanding, high-productivity environments that require daily wash-down procedures. Operating at speeds up to 900 inches per minute, this state-of-the-art system offers maximum flexibility, functionality and reliability for food bag packaging. 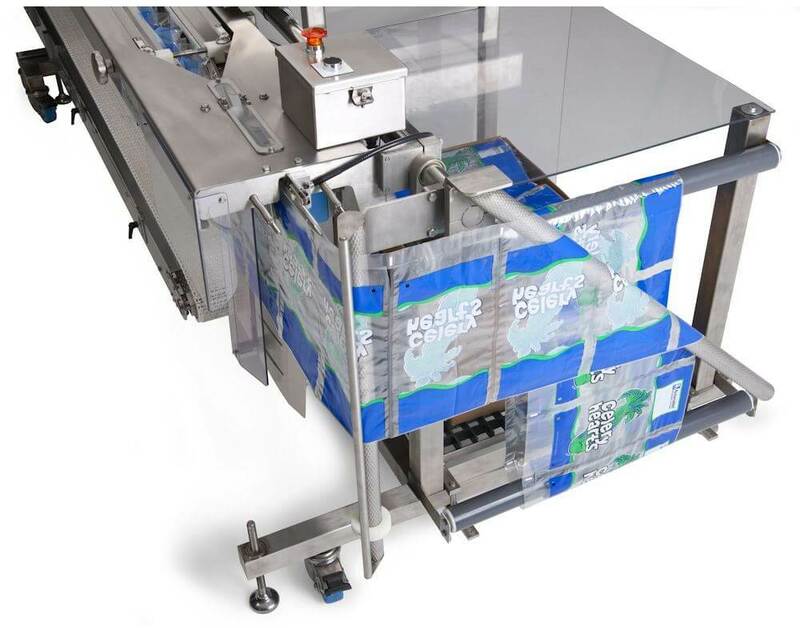 This unique food grade packaging system presents a conveyor of pre-opened plastic bags that are staged for immediate loading. The 60″ wide load area features a 6″ pass-through, and tilts vertically for easy maintenance and sanitation. An innovative Coordinated Motion Seal Flattener is coupled with a band sealing system to ensure high quality, airtight, 3/8″ bag seals. 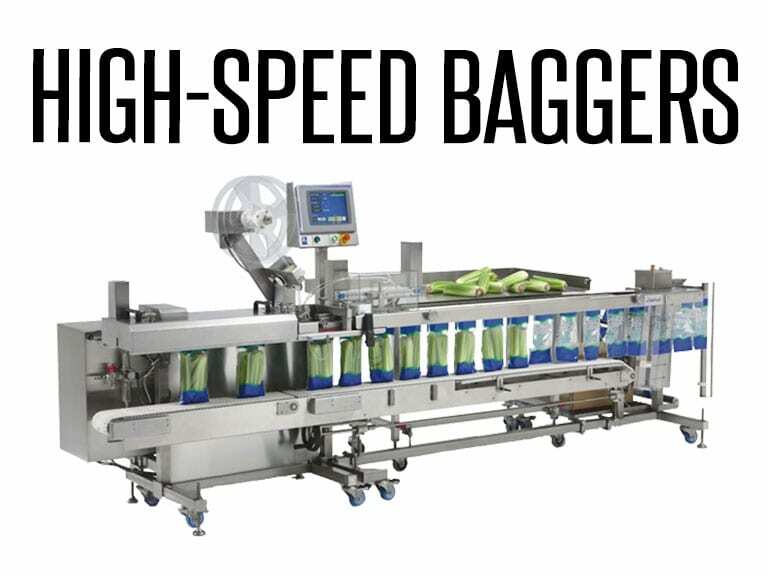 The SPrint SidePouch bagger operates in continuous, intermittent or batch modes, and cycles on pre-set parameters, or manually with a footswitch. This highly flexible design accommodates one or more operators or infeeds and a wide variety of products and bag sizes. An integrated Allen-Bradley® control package, featuring Kinetix® Servo motors and drives, a CompactLogix™ L45 PLC, and a large, 10″ PanelView Plus HMI, is designed for ease of operation, serviceability, integration, and overall system reliability. A simple flash card programs all of the components. The AutoTouch™ Control Software displays real time productivity data and provides easy access to job storage, job recall and on-board system diagnostics. System-matched SidePouch plastic poly bags provide optimum performance, and offer a variety of special features, such as reclosable zipper bags, gussets, reinforced headers, tamper-evident perforations and more. 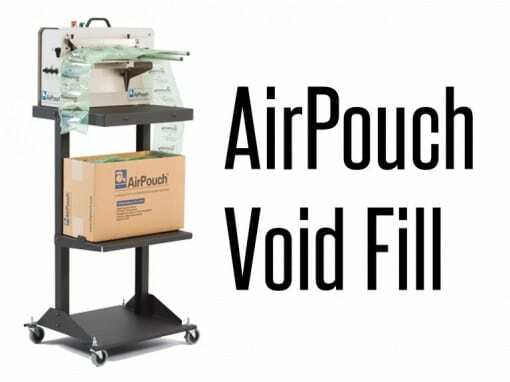 SidePouch bags are pre-made and fan-folded in a box, eliminating the need for costly machine modifications to utilize their value-added features. In addition, these bags can be pre-printed in up to 10-colors with high-resolution graphics, text and bar codes for unique, attractive food packaging with a competitive edge. W 2 to 24 in. L 3 to 18.75 in. 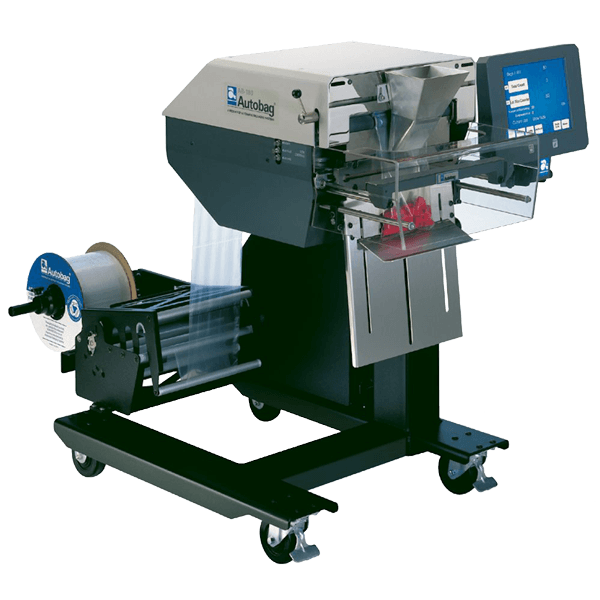 This automatic filling and sealing bag machine is capable of packaging at speeds up to 80 bags per minute. It is simple to use, dependable and operationally flexible to provide maximum machine uptime and bag packaging productivity. 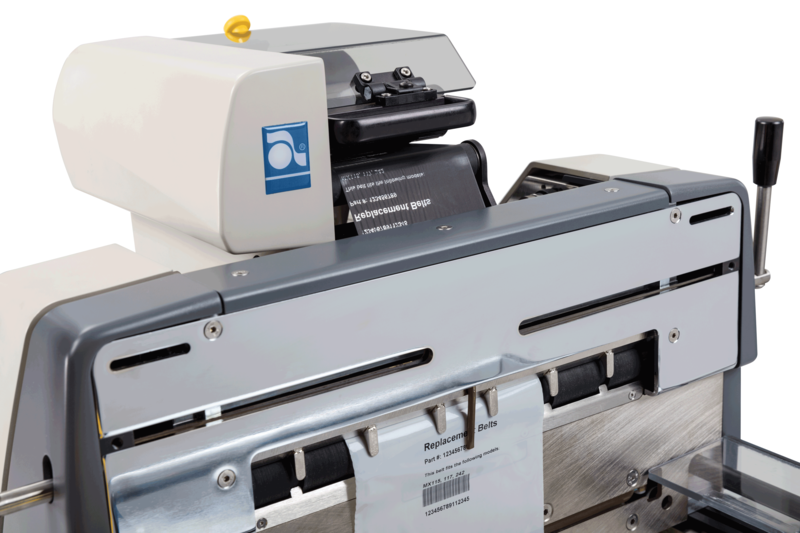 Genuine Autobag pre-opened bags-on-a-roll can be changed in less than two minutes to offer a fast, flexible and cost-effective bagging solution. 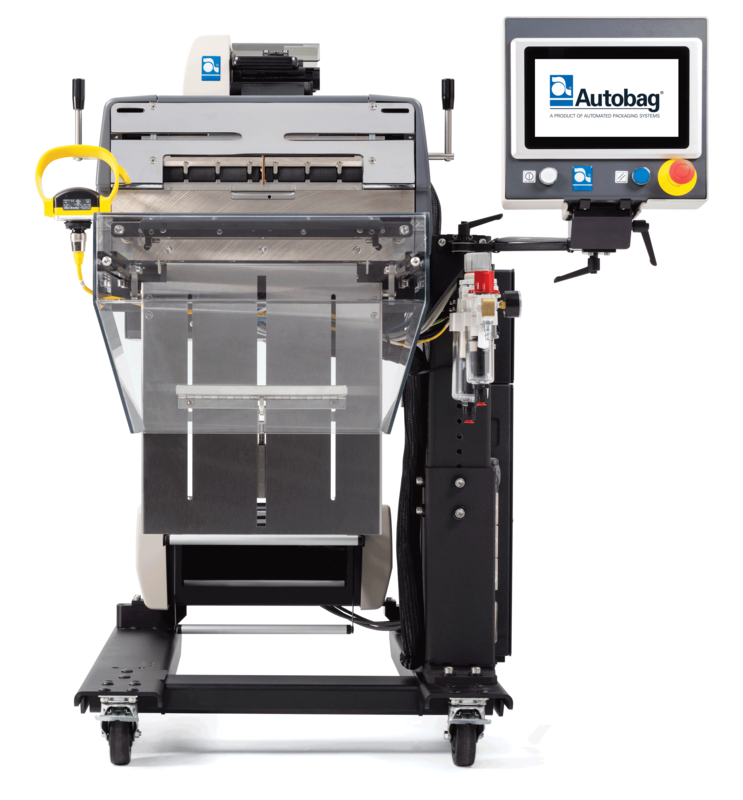 The Autobag AB 180 automated bagger is equipped with Autobag Replace-n-Repair™ machine operating systems for maximum uptime. The interactive AutoTouch™ Control Screen enables easy access to high-capacity job storage, powerful on-board system diagnostics, and an operator help tool. 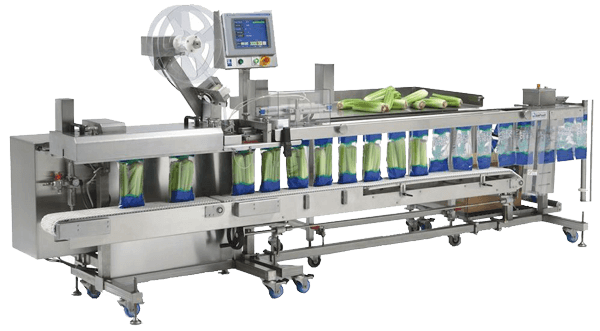 User-friendly features and innovative components make this plastic bagging machine, one of the simplest to use automatic/semi-automatic bagging systems available. It can conveniently tie-in to a range of Autobag and third-party infeed bagging equipment. 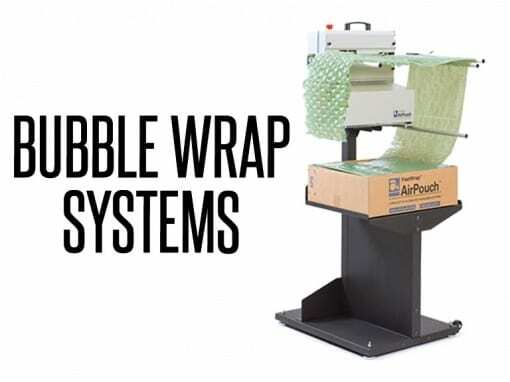 In addition, system-matched, pre-opened Autobag bags-on-a-roll offer the most durable packaging solution to streamline your operation. 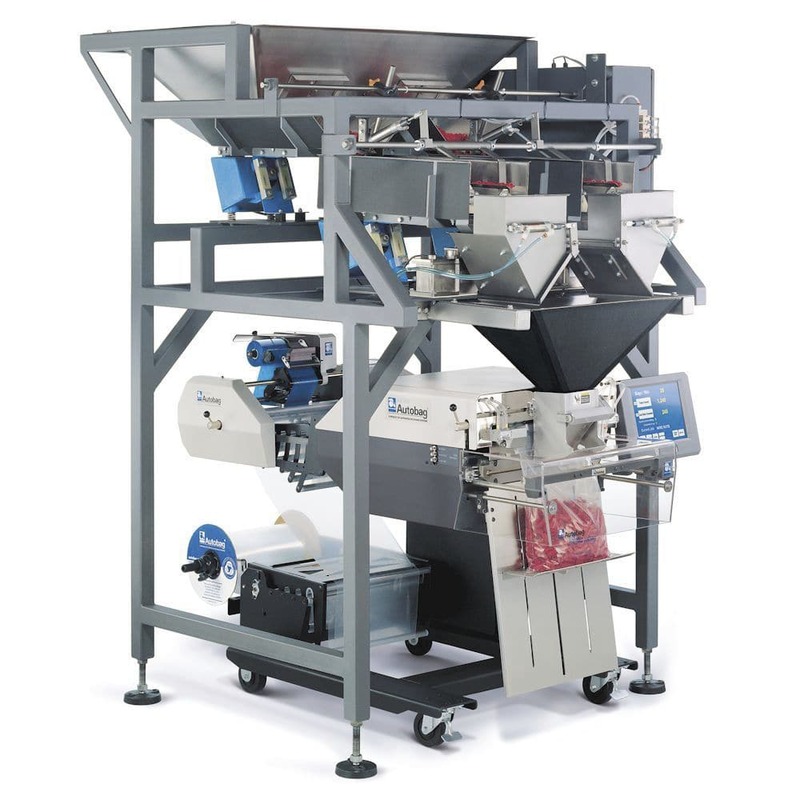 Overall, this robust machine is manufactured to increase your return on investment for high-speed bagging and sealing applications. Bag Sizes: W 2 to 11 in. L 3 to 22 in.